In Goa the evening “Tea Time” is still very popular just like the “Siesta”, which is a break taken after lunch to catch up with a quick nap. Tea time in Goa is around 3 to 6pm. It’s usually consist of Tea and Biscuits, Cakes, or home-made sweets. Gorchem, is something I grew up with for tea time. Didn’t enjoy it much growing up but guess age and trying to be healthy makes you get wiser that some of the older cuisines were simple and had a better nutrition content. Guess this makes it a good reason for the new “paleo diet” to be a new fad. 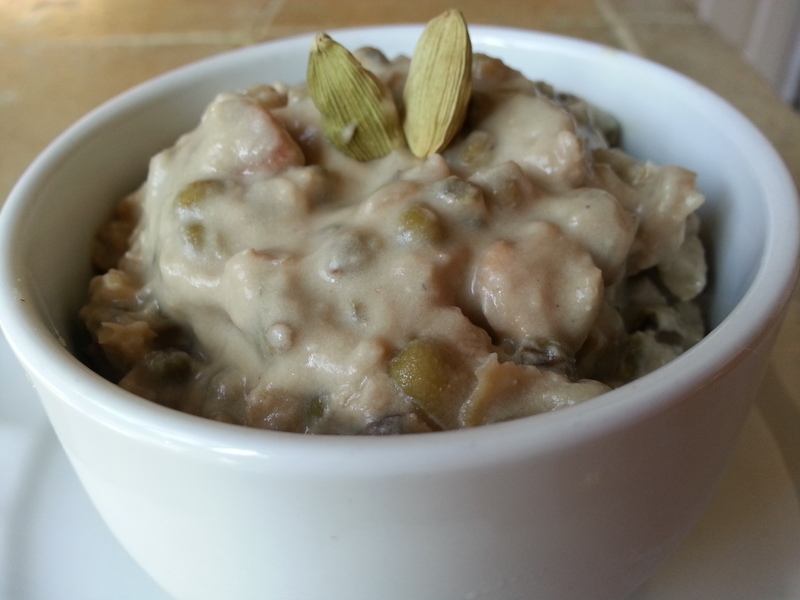 Moong(Mung) Dal Pudding(Gorchem) or call it what you may, is a great gluten free or a lactose-free desert. Its quick and easy and can last 3 to 4 days in the refrigerator. Cook the soaked moong dal with water and a pinch of salt for 15 minutes covered on medium heat. then add coconut milk , crushed Cardamom, raw sugar, cashews and cook for another 15 minutes stirring occasionally till it thickens. Enjoy this great healthy desert. Yeah my mum would make it as well a little liquidy. HEAVEN. 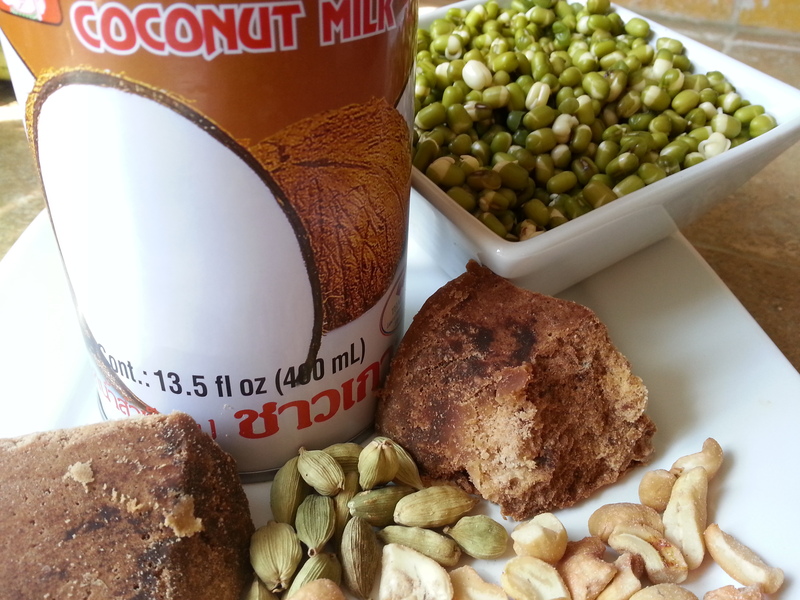 I love cardamom and coconut milk!! !